Response: Obama explained in 2001, and has never recanted, that he opposed the Illinois BAIPA because it declared a "previable fetus" to be a legal person – even though the bill only did so if the baby had achieved "complete expulsion or extraction from its mother." (Obama’s statements are quoted verbatim further on in this white paper.) The old Illinois law in question (720 ILCS 510.6) covered only situations where an abortionist declares before the abortion that there was "a reasonable likelihood of sustained survival of the fetus outside the womb." Humans are often born alive a month or more before they reach the point where such "sustained survival" - that is, long-term survival - is likely or possible (which is often called the point of "viability"). The old Illinois law has no bearing on many of the induced-labor abortions about which the nurses testified before the committees in Congress and the Illinois state legislature, because many of them were performed on unborn humans who were capable of being born alive, and who often were born alive, but who were not old enough to have a "reasonable likelihood of sustained survival... outside the womb." 14 preserve the life and health of the fetus. 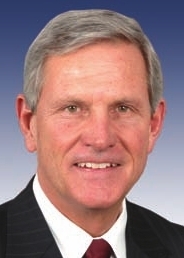 Why did Baron Hill endorse a candidate who defended infanticide?